This article first appeared on Moneyweb.co.za. Yields in the wine beverage market will be down as much as 25% to 50% next year, I was told by two major players last week. A significant drop in yield on an already unprofitable model, means the industry will take a serious hit in 2018. 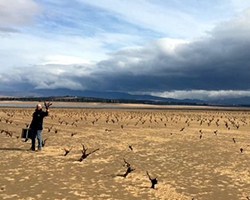 The lack of rain during winter has left vines across the Cape without the required water reserves through summer. 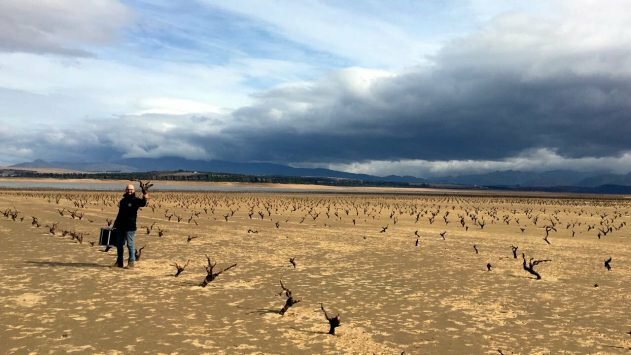 Water quotas have also been slashed, meaning high-yielding vineyards from inland regions that produce the majority of SA wine, will struggle to cope. African wine has Chilean, Australian or even Chinese substitutes if the prices are nudged just a few percent. Michael Fridjhon’s ‘Two Wine Industries’ keynote address at the Nederburg Auction was a resolute and welcoming call to the country; one of the major industries in the Western Cape is under serious pressure. Economic and political ills have created a massive divide in the wine industry that is not unlike many others in today’s landscape. The drought is set to exacerbate this social inequality and hamper the export-based industry even further. Wine farming can be profitable, but add severe economic issues, lack of government support and now one of the driest periods in the history, there is concern to say the very least. Some commentators believe this will be a much needed correction to our perpetual over-supply, but at what cost to the sector? Meanwhile, the promotion of South African wines in London last week at the ‘New Wave’ South Africa Tasting, paints a different picture entirely. Here, three vintage upstarts poured wines alongside decades old, prestigious producers, creating an incredible buzz across the world of wine. From revolutionaries like Eben Sadie and Marc Kent, to pinnacle properties of De Morgenzon and Newton Johnson, the small tasting added further credibility to the notion – South Africa is the most exciting country in the world of wine right now. The group of winemakers present was by no means definitive, but the camaraderie between a cross section of producers, importantly without any political bias, is compounded by the radical jump in quality and variety. While WOSA does its best with a tiny comparable budget, this type of independent country promotion by top producers is unheard of and reverberates throughout the industry. The frenzy of media over the New Wave, Young Gun, Post-Modern South African wine is at an all-time high. Jancis Robinson, the world’s most followed wine critic, tweeted “American wine lovers, you are missing out if you don’t take advantage of S Africa’s best!” Even though the US market has been very difficult for South African wines, the fact remains; premium producers have never been as successful. 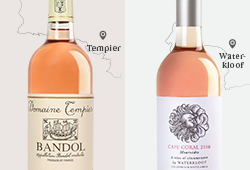 High-end, well-funded, largely boutique wine producers who own land, continue to thrive. Their inelastic selling prices mean that cost inflation is superfluous, the complete opposite to the marginal beverage producers who keep the wheels turning. According to Vinpro, the average return from 3 139 producers across our 96 753 hectares is below 1%. Now add cost inflation, stagnant wine prices, huge competition and a prolonged and worsening drought. High prices at the two major auctions, Nederburg and Cape Winemakers Guild, continued this year in our recessionary economy. There is a South African fine wine revolution at play. New releases at the premium level and over R1 000 are selling faster than ever before. 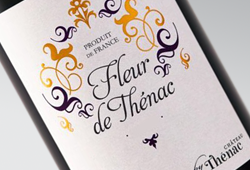 The 2015 vintage is the finest in the modern era and demand has been rampant. Boekenhoutskloof’s Syrah and Journeyman and MR de Compostella have sold quicker than previous vintages, at higher prices. Expect the upcoming new release from Luxury brand Vilafonte to attract a wealth of interest for their sensational 2015 Series C at a cool R950 per bottle. Most of the 60-odd producers at the New Wave tasting don’t own their own vineyards. 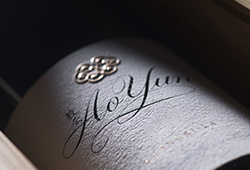 The number of own-label winemaker brands has sky rocketed over the last five years. Grape prices for old vine Chenin, top quality Pinot Noir and Stellenbosch Cabernet Sauvignon is finally pushing at least some farmers into a more profitable scenario. And there is still room for growth; the grape price in a R300 bottle of wine is frankly one of its cheapest inputs. Unlike a top Napa Cabernet Sauvignon with inputs of R100 per kilo for grapes, R10 per kilo has only just become achievable over the last few years in the Cape. While climate change is fuelling fires in California and increasing frost risk in France (producing the lowest yield ever in 2016), we may have another competitor to worry about. Domestic Chinese wine consumption is starting to grow, matching their thirst for luxury wines. According to Jancis, the “quality of the best Chinese wine has recently turned a corner”. A scary thought when China’s total vineyard area just overtook France to become the second biggest in the world. Don’t expect China to not compete in huge international beverage market. In fact, like many industries, I believe they will likely dominate.